Two terrorists were killed during wee hours on Wednesday in an encounter with the security forces in Budgam of Jammu and Kashmir. Srinagar: Two terrorists were killed during wee hours on Wednesday in an encounter with the security forces in n Gopalpora area of Jammu and Kashmir’s Budgam district. Arms and ammunition have been recovered from the site. Meanwhile, the identities and the affiliations of the neutralised ultras are yet to be ascertained. Police have registered a case and initiated an investigation in the matter. Security forces and the state police had launched a search and cordon operation after receiving a tip-off about presence of terrorists in the area. During the operation, a gunfight broke out between the security force personnel and the terrorists, the police said. Citizens are requested not to venture inside encounter zone since such an area can prove dangerous due to stray explosive materials. People are requested to cooperate with police till the area is completely sanitised and cleared of all the explosive materials if any. 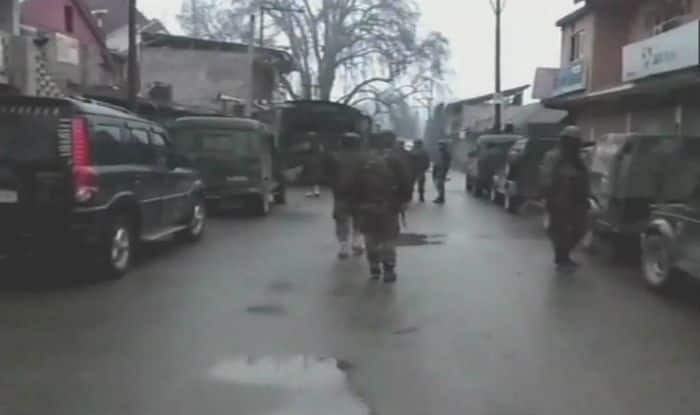 Earlier on Tuesday, a terrorist and a soldier were killed in an encounter in Pulwama in the state. Two security force personnel had sustained gunshot injuries in Ratnipora area of Pulwama and were rushed to a nearby hospital for treatment. However, one of them, Havaldar Baljeet Singh of the Army, breathed his last at the hospital, police said. Singh, who hailed from Karnal in Haryana, is survived by his wife and two children. On February 10, four Central Reserve Police Force (CRPF) personnel were on Sunday injured in heavy stone-pelting in Kulgam district of Jammu and Kashmir after five terrorists were killed in an encounter with security forces. Earlier this month, a self styled district commander of Lashkar-e-Taiba (LeT) terror outfit was killed in a brief encounter with security forces in Pulwama district of the state. The terrorist, identified as Irfan Ahmed Sheikh, was affiliated with LeT and was known as district commander of the outfit for Pulwama.